We are massive Center Parcs fans. We’ve probably visited every year/18 months since my eldest was born (he’s now 7!). 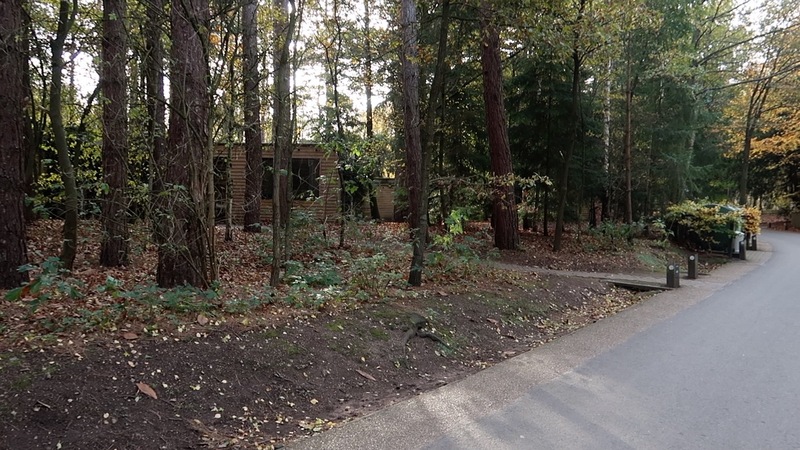 I briefly mentioned Center Parcs in our Butlins blog post the other week; not so much to compare the two and what’s within (which I will save for another post) but more to show how closely priced the two actually are. I’m here to share with you how we can afford to go as often as we do and how we do Center Parcs on a budget. 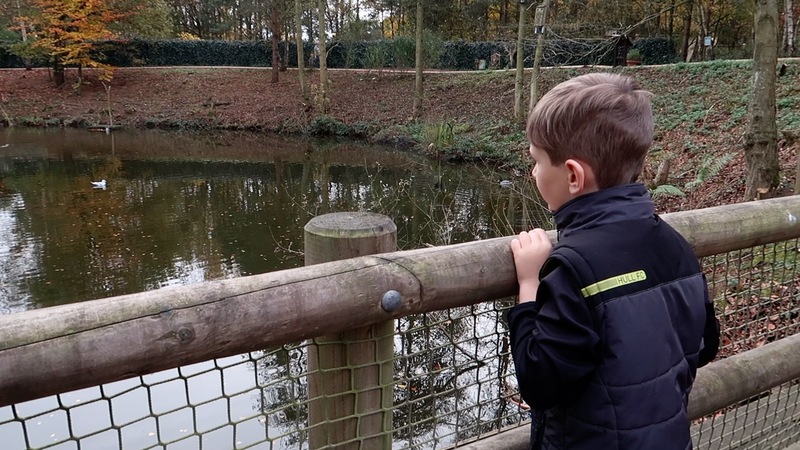 My top 10 tips to do Center Parcs on a budget! 1) we always book the cheapest (likely most basic) accommodation. If you are wanting a sauna, hot tub or housekeeping then you’ll need to look and price up the more expensive Executive villas but if you’re just after a clean, modern, tidy villa to just chill out and lay your head then you’ll be more than happy with the Woodland design. These days the most basic accommodation are what used to be, back in the day, an upgraded style of villa. All villas now have at least a dishwasher, a tv in the bedroom, chalkboard and even WiFi! You can see our Woodland villa tour over on YouTube it will show you so much more than the one of two pictures I would usually pop in a blog post. 2) book a midweek break. We can’t justify a weekend break anymore… it’s A LOT more expensive and to have just two full days there, particularly if you’ve never been before, is not enough in my opinion. Obviously, although I know it’s not an option for some people, but term time is also a lot cheaper than school holidays. 3) book early! The earlier you book the cheapest it will be. The later you leave it and the closer your date comes around; the more expensive it will be. 4) We tend to book our next break away when we return from our last because by doing soon entitles you to free cancellation insurance and £25 in Center Parcs vouchers. 5) do a supermarket shop before you go. Although there are something’s the Parc Market has in the Village Square that are quite reasonably priced, the majority of food is a lot more expensive than your local supermarket at home. Don’t forget too that there’s likely to be a bbq just outside your patio windows too if you fancy a meat feast one night too but don’t wait to buy the meat there stick it in a cool box and get it in the fridge the minute you arrive. If you do want to buy then spend over £40 and they’ll deliver it to your lodge for free! Check out my vlog below of what we take on our breaks; I filmed this on our trip at the end of 2017. 6) take your own bikes. Bikes are VERY expensive to hire. If you can take your own then do so. If like us you have small children then pop their scooters in. We love just walking/biking around the grounds and it’s FREE! 7) take advantage of the free baby food. I loved this option when my kids were small. In most if not all restaurants and cafes they have a little baby station with a microwave, bottle warmer and free baby food! It was such a massive convenience. 8) do the free activities…. there are tons and far more than you probably ever thought! Multiple playgrounds, a nature reserve, you can feed the ducks (with seed NOT bread! ), do a spot of bird spotting, walk through hundreds of acres of forest and woodland paths, make sandcastles on the beach and of course the best part of all swim, dive, slide and splash in and around the Subtropical Swimming Paradise. 9) eat in. Sit down restaurants are very expensive. A lot more expensive than ones at home. For example there is a Strada in Sherwood Forest that was 50% more expensive than a Strada at home. 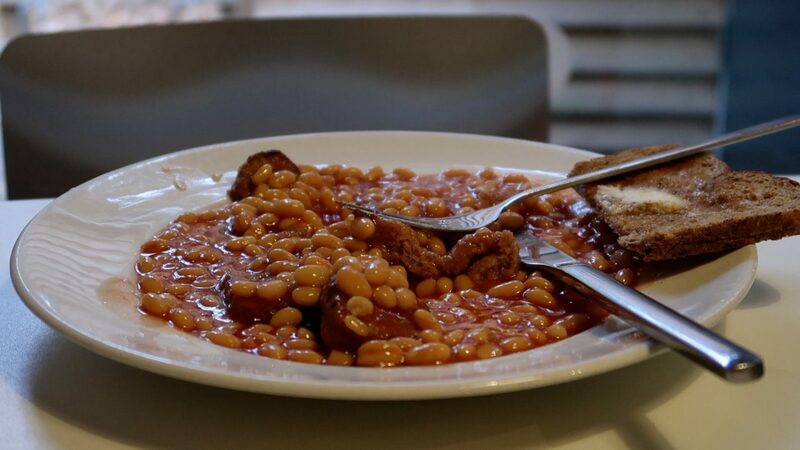 We tend to take mince and spaghetti for spag bol, beans, bread, eggs and cheese for beans on toast, cheese on toast and/or poached egg. Our last trip saw us pick up a freshly made pizza from Asda on the way and oven cooked it that evening buying some [overpriced] chips from the takeaway. 10) take your own log for the fire. It does say the log burner should only use Center Parcs logs but I think that’s just precautionary because we have had absolutely no issues using Asda’s in the past and honestly saved a fortune! Oh & don’t forget your lighter !! 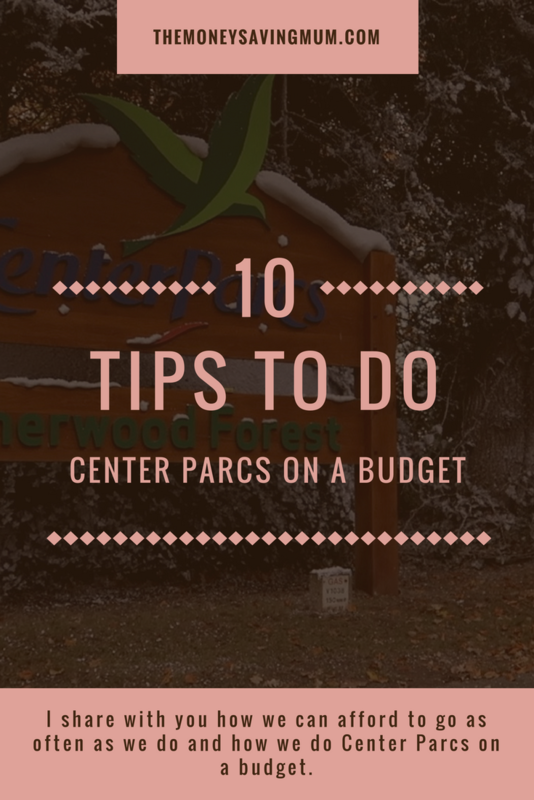 I hope that helps and has given you a couple of money saving ideas for your next Center Parcs trip… I’d love to hear how you manage to save on yours? Previous Post The 3 best financial investments I have ever made. Hi, some great tips here – I’ve always wanted to go to Centre Parcs but can never justify the cost!